I was in a spare time yesterday when I found a very good feed in someone's Instagram account. She takes a lot of very good, oh not! a lot of freaking awesome photo in my hometown, Yogyakarta. I gasped, how did she manage to capture that? I sometimes think about going abroad to Korea or Japan to hunt a lot of beautiful picture, but then I realize that in my own hometown there are many good spot to capture. Ah! I should get going to explore my hometown, very soon. I remember, I actually have a lot of photo from my recent trip to Yogyakarta's beach. I'll try to write it here one by one. OMG, I'm excited! LOL. Better to explore our hometown first before going abroad. So, anyway, should I take a day off too? LOL. Well, the picture above is my first hunt. 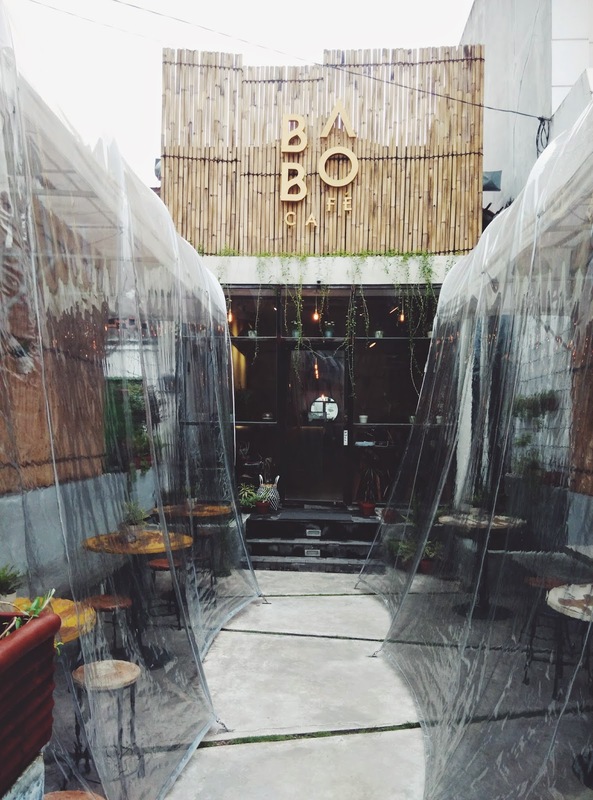 I've visited BABO Cafe before, but my first visit didn't allow me to capture anything since it was raining that day. I knew this cafe from Indonesian Blogger, Claradevi. 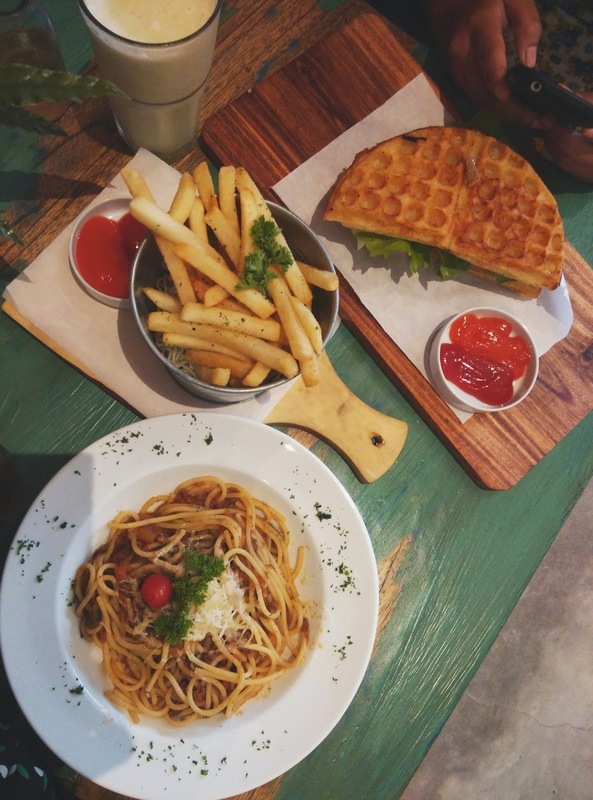 I recommend you to try Tuna Waffle Sandwich, it's yummy, at least for me who had a diet it's enough for lunch. Some people said the Ovomaltine beverage is the best they had, I didn't manage to try yesterday, so I'll try that in my next visit. Jln. Johar Nurhadi No. 5 Kotabaru, Yogyakarta. OOTD before my hanging-out with friend.